After a rather long absence and unfulfilled promises to upload pictures of a certain supernova event, Serah has returned to the land of the cyber-oriented and with the gentle persuasion of Pumpkin, a new series (hopefully more long lived than Serah's previous series) is born! Mission Statement: Every Tuesday we vow to bring you new recipes and baked goods! (Though posts may be published late) We seek to show the world that otakus and computer geeks alike can indeed cook! Today we present, The Chocolate Cake! 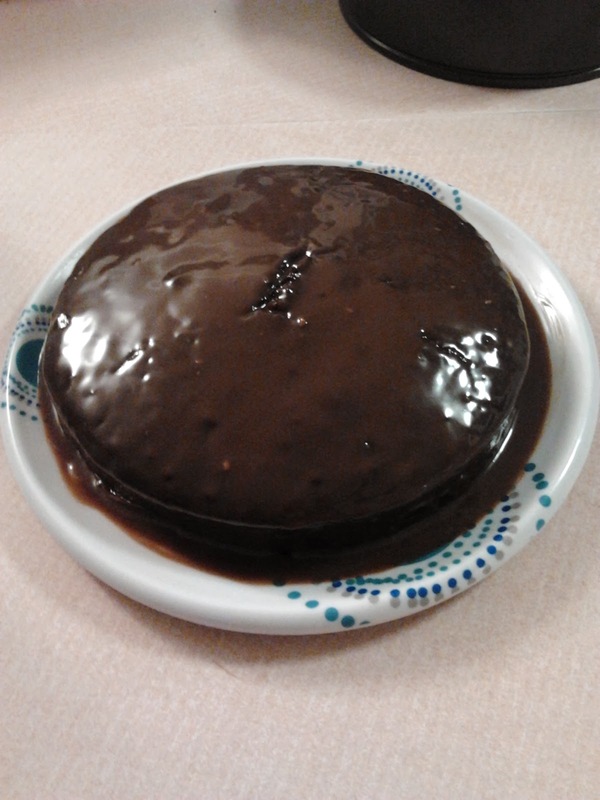 Sourced from the ever reliable taste.com, this chocolate cake turned out to be actually, pretty average, to be honest not exceptionally wonderful, but a great comfort food for some end of the day R and R.
We also created some lovely simple ganache which came out pretty much perfect. 1)Melt over lightly simmering water. 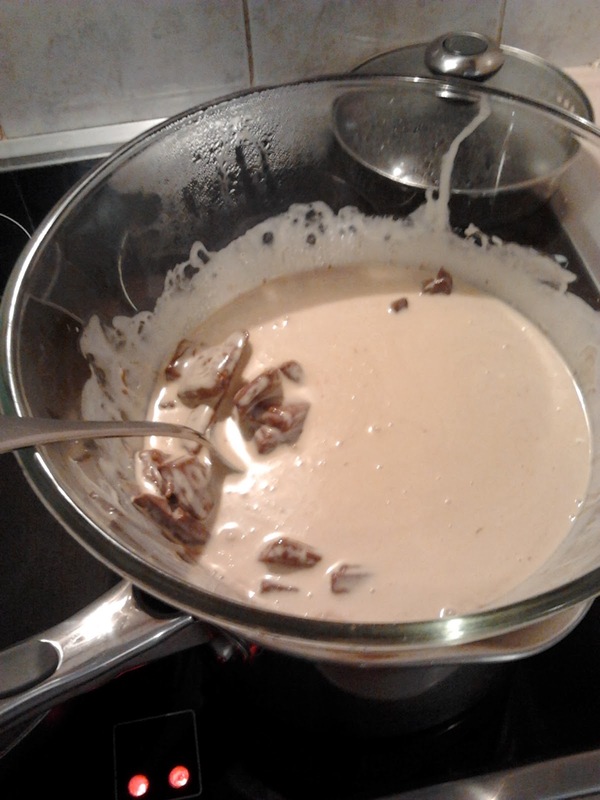 2)Allow to thicken, pour over cooled cake for a thin layer of icing. OR allow to completely solidify in fridge and pipe or make into truffles. Taste: 7/10 : Not too rich and perfectly sweetened but somewhat lacking for the true chocolate fanatic. Texture: 6/10 : The ganache icing helped, but slightly dry. Difficulty: Easy : I would rate this pretty easy, but I've tasted much better chocolate cakes of the same difficulty. Overall: Not bad, though not really worth making if you're looking for something more exceptional. Taste: 7/10: You can definitely taste the chocolate. Texture: 5/10: It's a little dry. Difficulty: Super easy: You pretty much throw everything into one bowl and mix. Overall: I wouldn't use this recipe again, you can find better recipes. Though the icing was superb considering the amount of sugar and cream we threw in it.